I deliberately held this post for a week after World TB Day because I did not want it to get drowned out in the deluge of messages, blogs, newspaper and other reports that were doing the rounds post 24th March. I was also waiting for responses from associates from the sector to send me reports about what they had done specifically for the media on World TB Day. Predictably there was precious little. While all the reports I got mentioned that their initiatives had been ‘reported’ to the media, there was very little effort to draw the media into the dialogue around TB control efforts, especially on this day dedicated to TB. Without meaning to undermine the efforts of any person/organisation, it was an opportunity lost, I thought. Because here we are, screaming ourselves blue in the face for media attention, asking for more space for showcasing TB, blaming the media for not giving us that space and then, we go and treat them like guests – simply inviting them for a press conference, or worse still, sending out a press release about all the work we did around World TB Day. 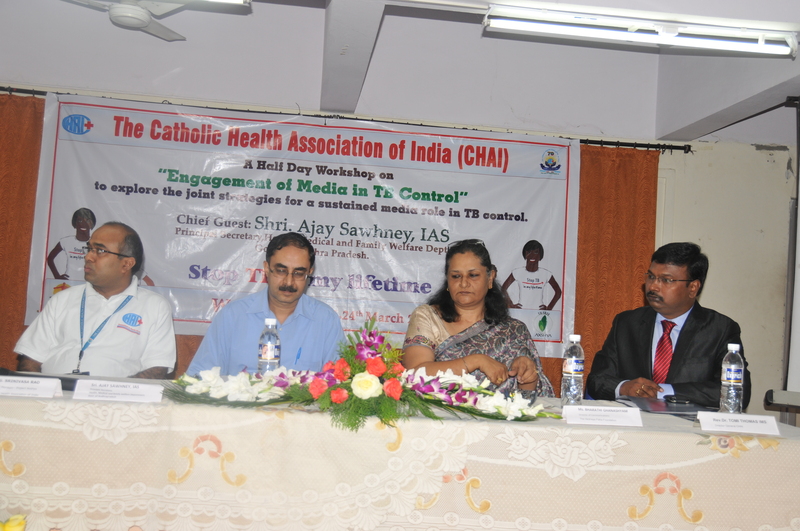 A notable exception was what the Catholic Health Association of India (CHAI), Hyderabad did. They dedicated a half day to deliberating with the media on how TB could be showcased better through the media. They actually spoke to, and listened to what the media had to say, without handing out press releases, with prefixed expectations for coverage. Some very valuable learnings came out of this initiative. The media members present at the workshop on “Engagement of Media in TB Control” expressed concerns that they did not understand the issue completely, the terminology confused them, and spokespersons were not easily approachable. Sounds familiar doesn’t it? These are exactly the problems that the media was up against in the early days that they were approached to cover HIV. The HIV sector recognised this and made special efforts to address their problems. There was investment on the media which paid dividends in the form of increased, quality coverage and greater awareness. Why, then are we unable to do the same with TB? The Hyderabad experiment, small though it was has thrown up identical challenges. We already have successful examples to follow. JATB was present at the CHAI meeting and is therefore able to say with conviction that the need is clearly before us. All it takes is the will to turn things around. It is time we stopped taking the easy way out by blaming media for apathy towards TB. It’s time we turned the tide to our favour. Read JATB’s take on building relationships with the media here.